Blue Peak is a boutique accounting practice that specialises in providing accountancy and taxation services to both individuals and businesses primarily across the Thames Valley and the South East although we can advise and support clients of Essential Wealth remotely. With a senior team which all trained within the big four accountancy firms, Blue Peak are able to support clients with all aspects of tax and accounting; from personal self-assessment and company accounts or corporation tax through to more complex areas including expatriate tax, share schemes and taxation of trusts. Their approach is to offer expert advice that is explained to clients in an easy to understand manner, combined with a personal service that takes the hassle out of dealing with their taxation and accounting obligations. The cost of your mortgage is likely to be one of your largest outgoings. Ensuring that you have access to some of the most cost-effective methods of paying for your home and other property investments is critical to good financial management. Dave Mills at Compass Personal Finance can find the most suitable mortgage for you and monitor your mortgage in the context of the changing marketplace. Dave can also advise you at key stages, such as the end of the fixed interest rate periods. Compass Personal Finance is able to offer advice on a comprehensive range of mortgages from across the market. Compass Personal Finance is an Appointed Representative of Openwork Ltd which is authorised and regulated by the Financial Conduct Authority. In a world where the landscape is so subject to change, advice has never been so important. We have taken the time to invest to in building a team of people that are leaders in their field. Expert at ensuring that quality of service and technical excellence is at the centre of all that they do. Private Wealth is a service for private individuals, business owners and entrepreneurs with assets and/or wealth, who are looking for peace of mind. Supporting every stage of clients’ personal, family and business lives through our comprehensive and unrivalled business and personal legal services. Irwin Mitchell Private Wealth has the capability to support clients with interests and family both in the UK or internationally. We want our clients to be in control of their financial destiny, We can make the complex simple, but not at the cost of doing things right. Keystone was established in 2002 and has grown to have over 150 partner-level solicitors who have previously trained and worked at the country’s most respected law firms. The highly experienced lawyers utilise a sophisticated technology platform to drive efficiencies and reduce overheads which are passed directly on to clients along with a more proactive and personal service, this unique approach has resulted in Keystone becoming one of the fastest growing law firms in the UK over the past 5 years. The firm operates across 25 different areas of law and with 14 dedicated business sector teams Keystone is well equipped to assist with your business and personal legal needs. Established in 1855, Saffery Champness are the 12th largest accountancy firm in the UK and are recognised in the market for their expertise in advising private clients, they provide them with a personal partner-led service, concentrating on their personal and business finances. This deliberate focus is their strength; they do not try to be all things to all people. Instead choosing to specialise in looking after private clients, where they have real in-depth expertise and experience. Clients use Saffery for a wide variety of services: advising on different types of trusts, accounting legislation, asset protection or estate planning; or the tax-efficient structuring of their affairs. They use their diverse commercial experience to advise on the issues facing high net worth individuals today, such as the financing of business interests, maintenance, and passing on of wealth and the tax efficient* streamlining of their affairs. Property Vision advise buyers of residential property in London and Country Houses in the south of England. They were founded in 1983 and have offices in London, Ascot and Hungerford. They were bought by HSBC Private Bank in 2001 and are now a partnership after a management buyout in 2012. They have a network and contacts that get their clients to the best properties before anyone else and the experience and skills to buy them at the best price possible. They don’t, and never have, sold property which gives them a unique edge in their specialist business. Their success has been founded on giving the highest levels of service and delivering results that no one else can to the most demanding clients in the world. Claire is a nationally acknowledged senior executive coach and speaker, retained by major organisations including two major political parties and well known individuals and companies. Claire was one of the founders of Executive Coaching in the UK and is the most experienced performance coach of this type in Europe. 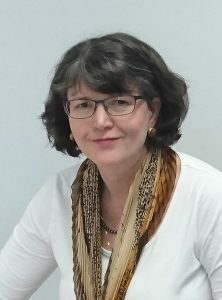 She is an expert in applied and behavioural change through directional and innovative coaching techniques. For the past twenty-six years, Claire has helped major plc chief executives to improve their personal performance and strategic skills. She is an acknowledged expert in psychological coaching of premiership UK football teams. REDCo. Ltd specialise in Employee Engagement, Innovative Board Development and Excellence programmes. REDCo. Ltd also train in Strategic Thinking and Change Techniques. Neil is a partner in the London private client team with more than 35 years’ specialist knowledge and expertise in domestic and international estate, succession and tax planning issues. He advises private clients on international tax planning and has particular expertise in dealing with complex international probate and trust issues involving multiple jurisdictions. Neil is a member of STEP, The Society of Trust & Estate Practitioners and is recognised in the ‘Leading Lawyers’ section in Citywealth magazine’s guide to the most highly regarded figures in private wealth management. The guide comments that Neil ‘is extremely knowledgeable and pragmatic’. Druces LLP is a leading UK law firm which provides high quality legal advice tailored to both businesses and individuals. They are based in the City of London, Basingstoke, Cambridge, Godalming, Guildford, Oxford and Reading, with 115 partners and over 600 people in total. The main areas of practice are private client, family, dispute resolution, corporate, commercial and real estate. Rosemary is a solicitor with over 30 years business experience, whose focus is on the clear identification of her clients’ needs and delivery of pragmatic and relevant advice, leading to delivery of commercially-tuned solutions. She has benefited from time spent in private practice in the UK and Australia, in firms ranging from small boutique practices to leading international firms (including Freshfields in London and Herbert Smith Freehills in Sydney, Australia), and from being an in-house lawyer for 2 international companies who were in the FTSE 100 at the time she worked for them. Beechmast Solicitors, which Rosemary established nearly 10 years ago, concentrates on offering bespoke corporate-commercial legal services to business clients. We aim to build an in-depth understanding of our clients’ business and people so we can offer relevant, focussed and cost effective advice, both for specific transactions and on an as and when needed basis for those one-off questions. Our clients range from mid-size plcs, such as RSK Group plc (a leading international environmental services provider), and private limited companies, such as Wessex Archaeology Limited (one of the UK’s top archaeological services providers), through smaller companies, professional services firms, charitable trusts, consultancies and individual entrepreneurs starting up or investing in developmental businesses. Nicki has been advising and supporting organisations with their branding, communications and marketing for more than 20 years. She believes that ultimately business success boils down to good communication, profile and reputation. Those organisations which shine and stand out are those that are known for the right reasons, trusted and understood. Strong branding is a powerful way of getting noticed and relaying subtle messages about your business and its unique personality. And good PR is all about what you do, what you say and what others say about you; your clarity of message, your timing and crucially your tone. Nicki’s strength is in helping organisations build their brand, finding and using the right words, writing engaging compelling copy, and ensuring their internal and external communications are clear, consistent and effective.